Born in Lichfield, United Kingdom, Hatch was a member of Germany’s Verband Deutscher Industrie Designer e.V., or VDID, a professional organization founded for the purpose of mediating between industry and designers. He earned his bachelor's degree in industrial design from Northumbria University, largely considered one of the top ten ID courses in the world. 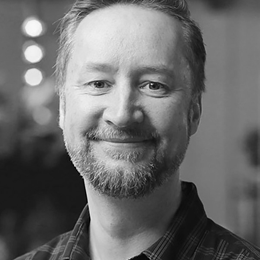 In 1993, he became the Senior Industrial Designer of TEAMS Design GmbH in Esslingen, Germany, a decision that would have major implications for Hatch’s extensive career. Hatch will add this year’s award to an already impressive collection, including Design of the Decade and IDSA's Extreme Volunteerism Award. In 2009, he became the third design professional in history to be awarded the prestigious Midwest Honors for Outstanding Achievement.